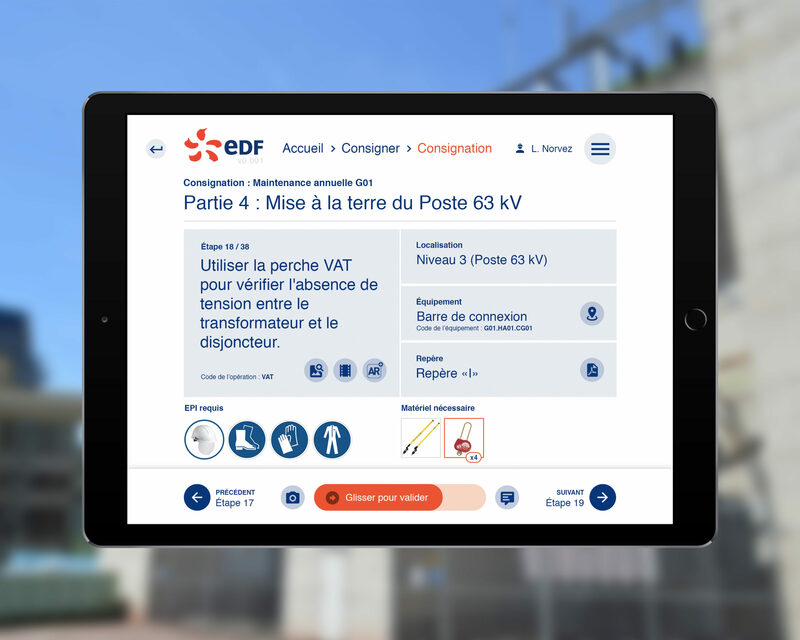 Phase 1 of the Augmented Consignment project, which is currently being deployed at the EDF Plant group in Pouget, has recently moved to the field experimentation phase in order to help the technicians and operators with the new features that this custom-built tool can offer. For a few days, the EDF teams that have not collaborated directly on the project will be invited to take control of the tool in order to identify possible optimizations to allow to refine the application. New improvements are expected to take more benefit from image recognition and augmented reality.